Converting a bathtub into a shower is not as difficult as you may think. 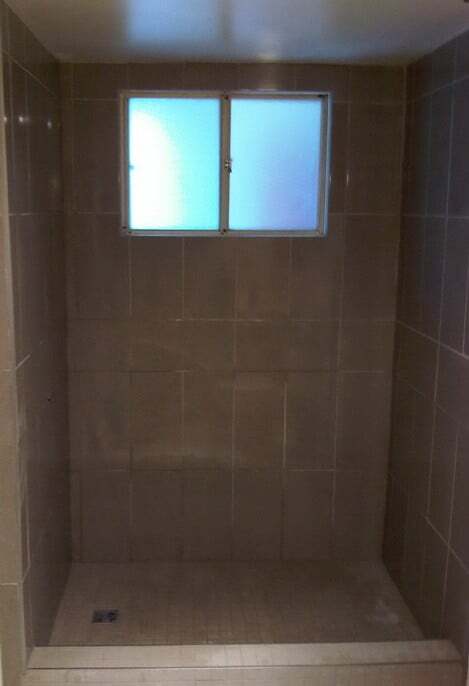 If you don’t use your bathtub for bathing, why not convert your old ugly bathtub into a walk in shower? There are some new types of shower panels that are absolutely amazing. These shower panels have multiple water jets and can make taking a shower an “experience”. So if you are going to convert your tub into a shower be sure to install one of these as you will not regret it. 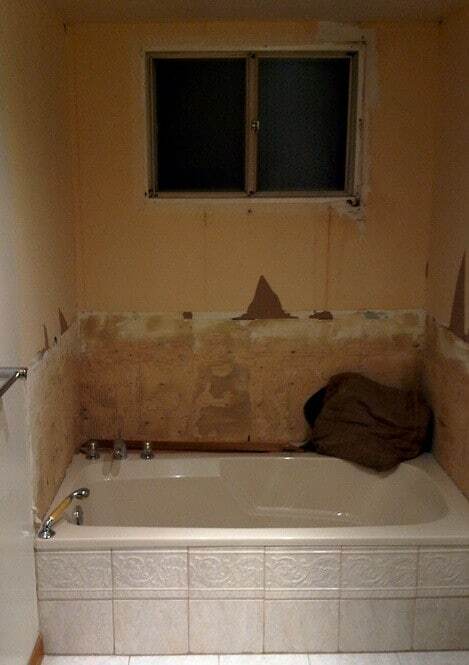 Removing an old tub and converting it into a shower involves tearing out ALL the old stuff including the bathtub, walls (tiles), hardware, and some flooring. 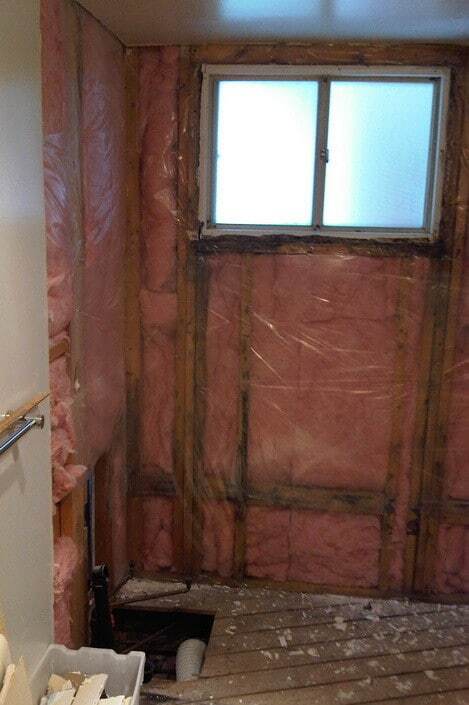 See below for a brief step-by-step on turning your old bathtub into a luxury walk in shower. Step 1. Begin by turning off water and removing everything, walls, tub, etc. Step 2. Reposition drain, and other plumbing as needed according to shower panel being installed. Step 3. 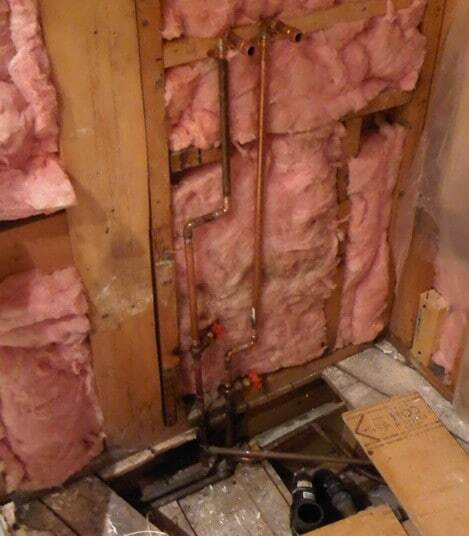 Relocate drain and the plumbing pipe for the new shower panel. Step 4. 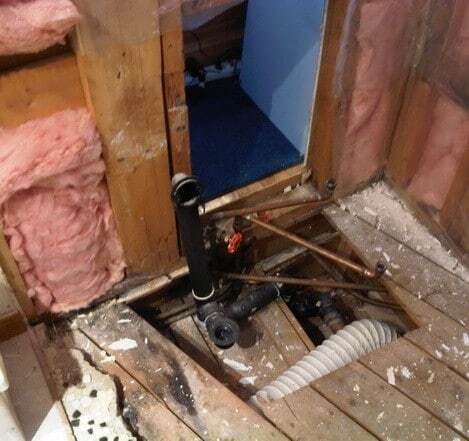 Once drain and plumbing is positioned, install the flooring. Step 5. 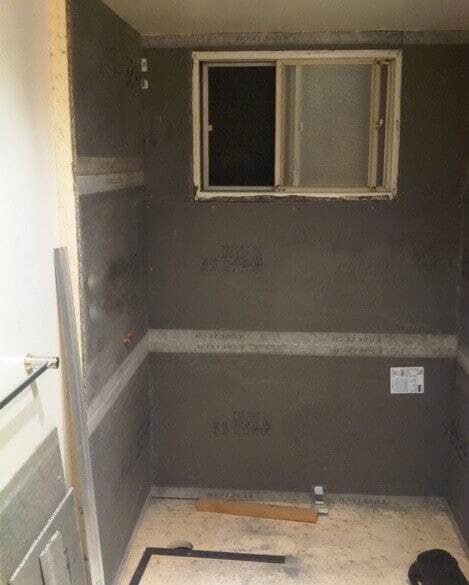 The shower flooring has been installed and the shower drain hole has been cut. Step 6. 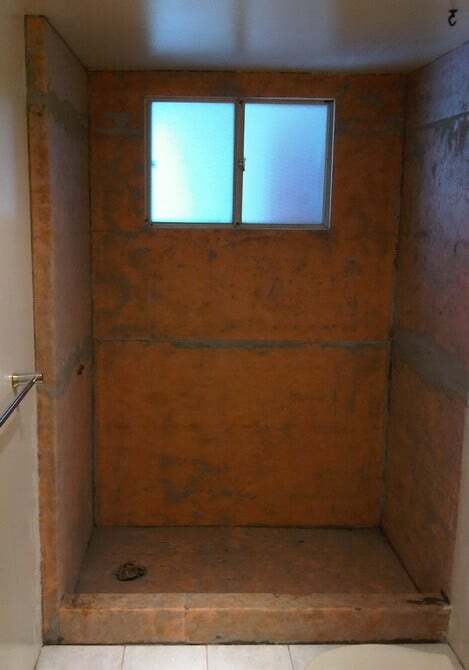 Measure and cut the cement board and install it from floor to ceiling. Cut holes for water outlets. Step 7. 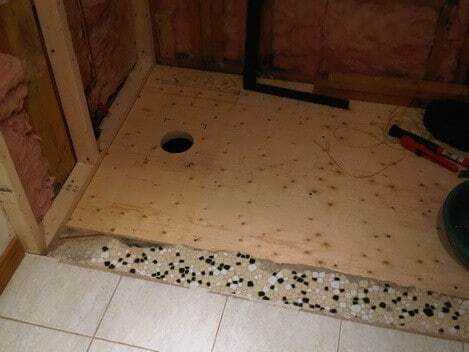 Here is where you install the Kerdi Shower Kit with Floor, Drain, Curb and Membrane. Step 8. Tile and grout the complete shower from floor to ceiling cutting holes for water outlets and drain. Step 9. 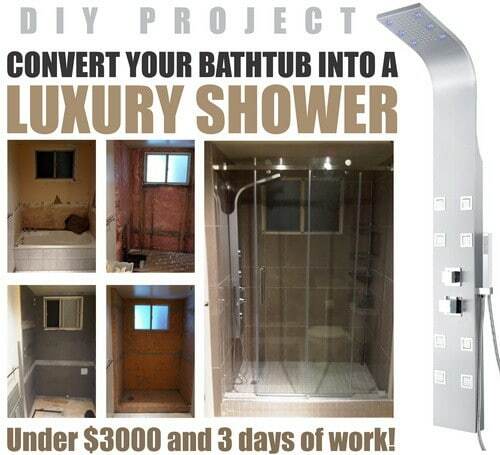 Install the luxury shower panel according to instructions included. Step 10. 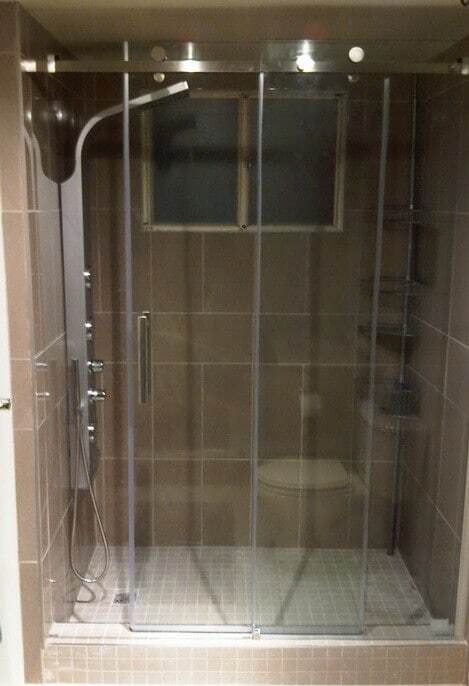 Install shower doors as per instructions, let everything dry and test your new shower! Kerdi Shower System Kit (48″x48″ tray), Schluter-Kerdi-Shower-Kit Schluter Shower System Kit includes: 1 – Kerdi-Shower – ST – Shower tray, 81 cm x 152 cm (48″ x 48″) 1 – Kerdi-Shower – SC – Shower curb, 122 cm x 15 cm (48″ x 6″ x 4-1/2″) 1 – Kerdi 10M – Waterproofing membrane, 1 m x 10 m (3.3′ x 33′) 1 – Kerdi-Band – Waterproofing strip, 125 mm x 10m (5″ x 33′) 1 – Kerdi-Drain – Drain, with integrated bonding flange 4 – Kerdi-Kereck-FI – Pre-formed waterproofing inside corners 2 – Kerdi-Kereck-FA – Pre-formed waterproofing outside corners 1 – Kerdi-Seal-PS – 3/4″ Pipe Seal 1 – Kerdi-Seal-MV – Mixing Valve Seal The Schluter-KERDI-SHOWER-KIT is an all inclusive package containing each of the components required to create a maintenance-free, watertight shower assembly without a mortar bed. This new luxurious shower panel has just newly arrived to North America and it is one of the best shower panels you can find in the market. It qualifies under the ISO-9001 standard, which can only be acquired by products that went through strict quality control and product inspection. 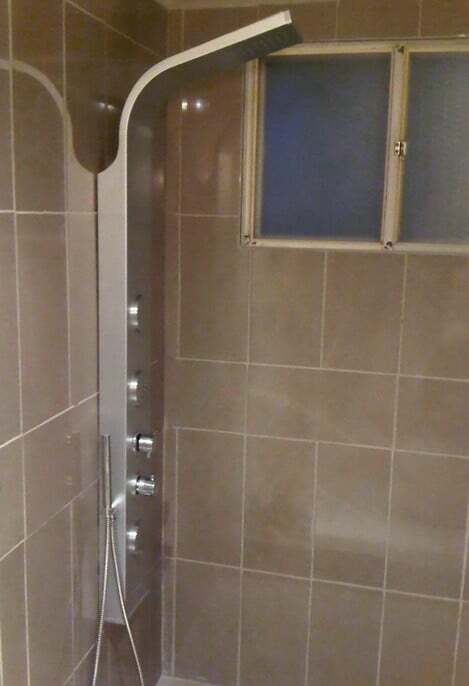 The body of the shower panel is made of high quality stainless steel, and comes with a rainfall shower, a handheld showerhead, and 8 body nozzles.